As I'm sure most of you know, seasons in the beauty world move faster than they do in the everyday world. 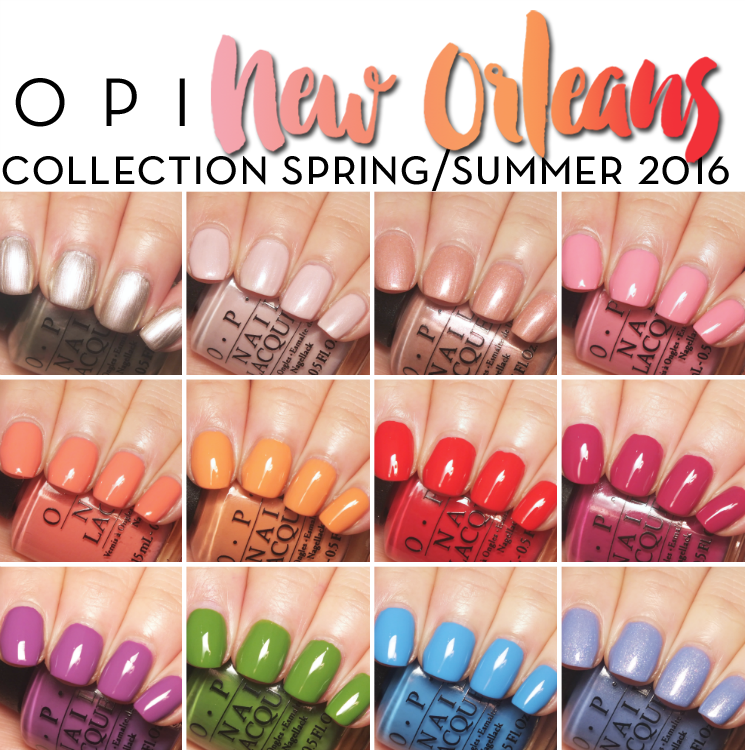 While I'm currently looking at a blustery, cold (very cold) winter's day, OPI is already thinking Spring/Summer. I'm reading to trade in my mittens for some fun hues, you? 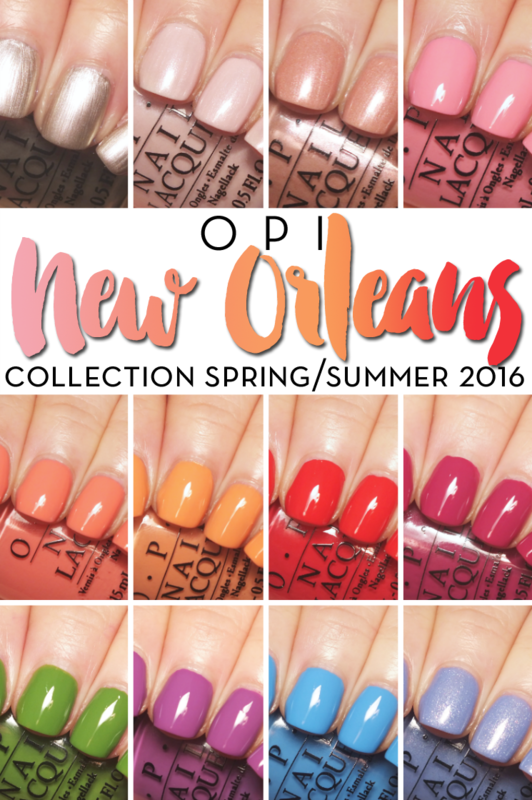 Read on for a look at the OPI New Orleans Collection for Spring/Summer 2016. Take a Right on Bourbon is... not so great. 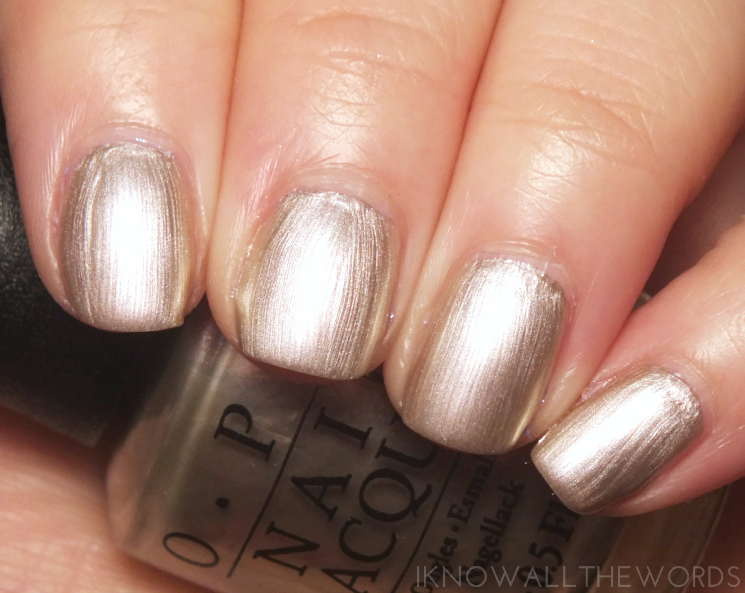 It's a frosty, metallic champagne meets silver. The shade is okay, it's just the finish. It's brush stroke laden, but does apply easily enough with to coats. Let Me Bayou a Drink is a soft pink with a whitened, iridescent shimmer. The shimmer is a nice surprise as I didn't notice it in the bottle. It's pretty sheer on the first coat, but build nicely on the second. Two coats. Humid-Tea is a peachy, sand shade with iridescent shimmer. Brush strokes are just slightly visible (less so in person than photographs) and the formula is a bit thin and sheer. Three coats. Suzi Nails New Orleans is a bubblegum-y pink cream. It's not overly bright, and easier to wear than super cool pinks. The formula applied a bit patchy on the first coat, but evened out on the second. Two coats. Got Myself Into a Jam-balaya is n pink-y peach cream. As you'll see, peach fans have two pretty options in this collection. This one however, applied really easily with two coats. Crawfishin' for a Compliment is the second peachy cream. It's more yellow based, with a more orange base. The formula is just as easy going too. Two coats. She's a Bad Muffulettea! is a vivid pink based red. This is a tough shade to describe, as it does look different based on the light. In some cases it looks much more red, but does in fact have a coral-pink thing going on as well. 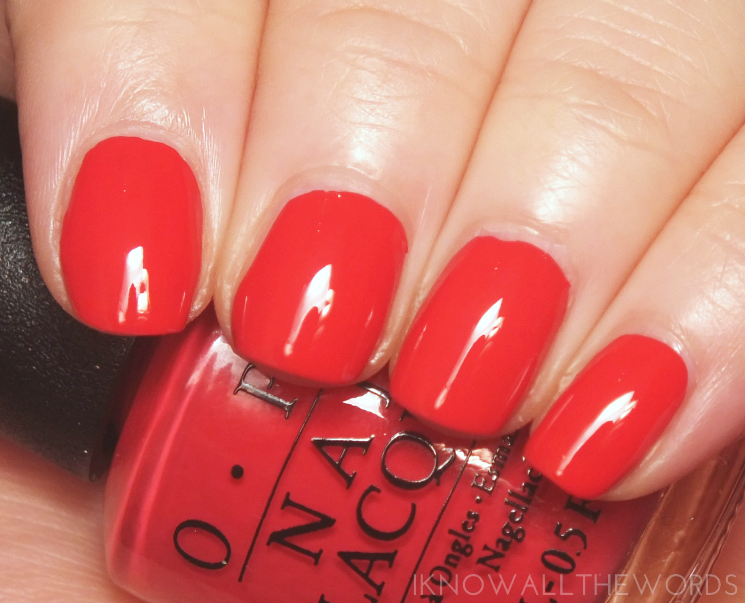 This shade also happens to have an incredible formula- smooth and easy, and one coat! Spare Me a French Quarter is a raspberry cream. Is raspberry red or pink? Regardless, raspberry sums this shade up pretty well. Another nicely pigmented and easy going formula. Two coats. I Manicure for Beads is a clean, medium depth purple cream. While this shade isn't the most unique, it's really lovely on the nail and applies with ease. Two coats. I'm Sooo Swamped is a grassy green cream. I love this shade! The green is vivid, but grounded and not too bright. It's fresh and quite spring-y. Another easy formula, although the first coat was on the streaky side. You guessed it, two coats. Rich Girls & Po Boys is a vivid blue cream. It's a stunner! I have quite a few blue shades, but I don't think I can dupe this. The shade is a bit deeper in person than it photographs, but it's still a bold blue. The formula is super pigmented and so close to being a one coat. Two coats. Show Us Your Tips is a periwinkle blue filled with glassy, shimmer that glows from within. It's amazing and you need it. It's a bit sheer, and needs three coats, but I say it's worth it. Overall, I really like this collection! I can't say that it really says New Orleans to me, but I really like the shades. They most definitely say spring. While I love the majority of the cream shades, my must have of the collection are Show Us Your Tips, Rich Girls & Po Boys, I'm Sooo Swamped, Spare me a French Quarter and Let Me Bayou a Drink. What do you think? Any shades you need?